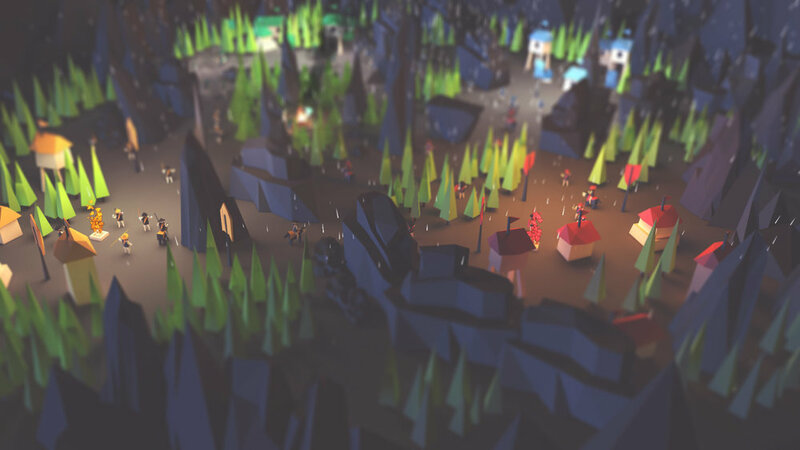 Low Poly Pack contains 90+ ready-to-use low poly elements to build or prototype your own low poly styled game. This asset has been optimized to work on mobile devices. Each model has 50-300 triangles. You will also get seven sample maps and one scene with preview of all elements. Additionally, we incorporated a Geometry FX Particles demo preview in this asset for you so you can now create all those amazing weather effects ! All elements are correctly prepared for the Unity engine - each element is made as a prefab with correct coordinates, scale and physics colliders. Just drag and drop and build your dream game or prototype for your first game made in Unity. This asset comes with elements such as: Buildings, four fractions (each a different color), six types of characters, unique fraction elements, mountains, trees and other environmental objects.